In Hotel Transylvania 3, a deranged, curmudgeonly, wispy haired old white man makes it his lifelong mission to eradicate all of the monsters already outcast from society. Sounds pretty familiar to current events, wouldn’t you say? Whether this political bend was intentional or not is unlikely to greatly change your opinion on the movie’s theatrics, although it does elevate this family friendly film full of fart jokes and the expected physical humor into an accessible metaphor for our world in its most recent form. 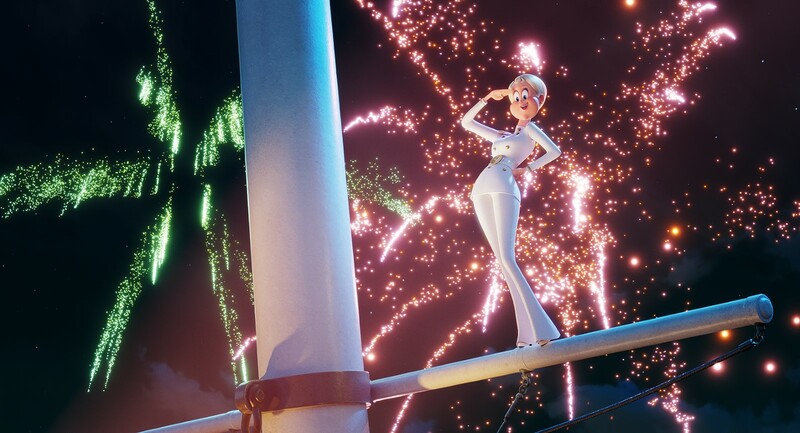 Hotel Transylvania 3 is smooth sailing whether you go into it on full auto-pilot mode or both hands on the wheel. Not many animated movies are capable of being so dumb and aware at the same time. Dracula (Adam Sandler) is lonely. Seeing his daughter Mavis (Selena Gomez) with her husband Johnny (Andy Samberg) and their toddler only makes Drac miss his late wife even more. And so he turns to dating apps. Some of the suitors have too many eyes, some are too green for his taste, one badgers him as he tries to hide what he’s up to. 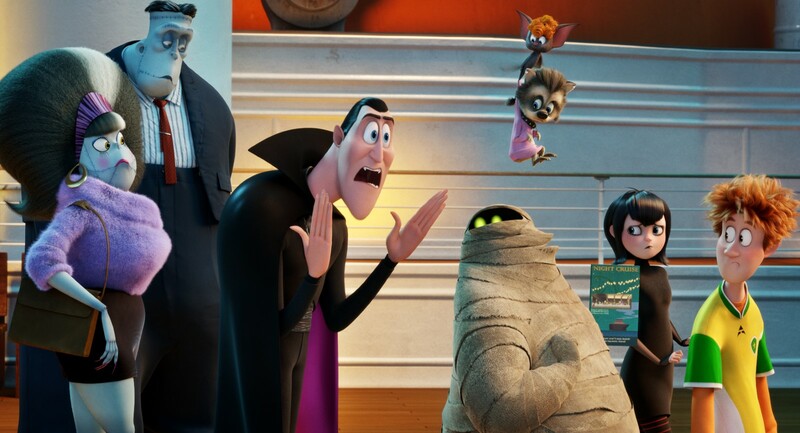 Hotel Transylvania 3 has an extremely bland first act – I honestly can’t remember all of its plot – but it sets up a refreshing and firm family dynamic where a daughter wants to see her father find love again. Sure, that’s not easy for a vampire, but when is love ever easy? The answer is never. To the open waters they go, with all of their many hotel guests in tow. Mavis has booked a special variety of a cruise; this one is monster friendly. Drac resents the vacation until he sees the ship’s captain Ericka (Kathryn Hahn), a woman so gorgeous his language is reduced to goo-goo and ga-ga. We don’t trust their romance and neither does the suspicious Mavis. I’m not sure that the movie is careful enough with its time around these parts, and it casually exploits characters for easy jokes when the mainstays aren’t hitting quite as expected. But all of the flair and fireworks add another layer to the film’s already impressive evaluation of society. It should be no task to understand and diagnose good from bad, yet we allow entertainment and consumerism to distract us from the issues directly under our nose just as Dracula does. Again, I can’t definitively state that this was the movie’s meaning, even if it does make sense. I’ll give it the benefit of the doubt. 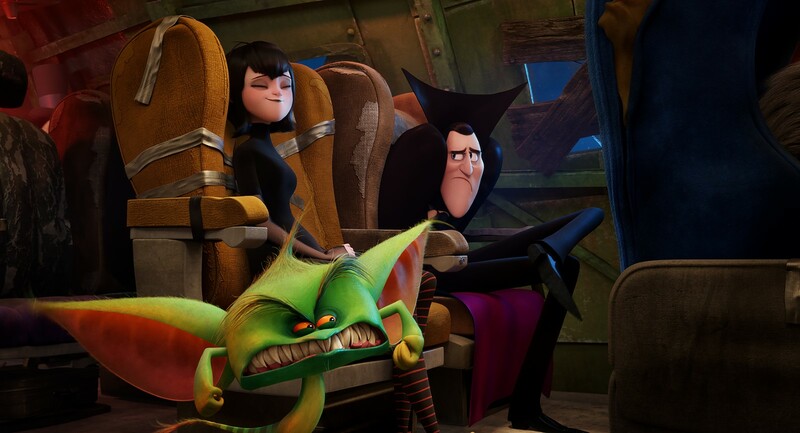 Hotel Transylvania 3 won’t make new converts of those who aren’t already fans of the franchise, nor is it likely to create die-hard advocates from this single outing. However, tucked inside the movie’s colorful visuals and its childish antics, dwells a rather remarkable observation. Van Helsing (Jim Gaffigan), the main antagonist and the grumpy old guy I previously mentioned, embodies the overwhelming power of hate. He’s determined to make killing monsters his legacy. He tries and fails, again and again, always the Wile E. Coyote in his Looney Tune world. And eventually he allows his hate to consume his entire being as he quite literally turns himself into a mechanical monster, trying to stay alive just so that he can kill. What a tragic existence. 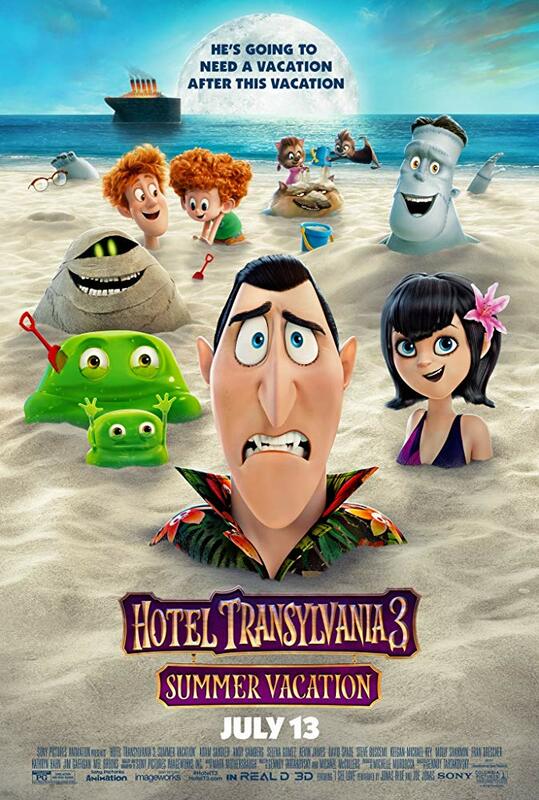 Hotel Transylvania 3: Summer Vacation isn’t a fancy film, but it is a relatively tidy picture that’ll make kids and adults laugh. Most importantly, it offers the villains, no matter their age, a chance to admit their wrongdoings and learn how to love again. It ends in peace.